Evidence shows that delivering mild electrical pulses to the nerves interrupts the transmission of pain signals to the brain, thus reducing pain. SCS is a well-established pain treatment used globally for over 30 years. 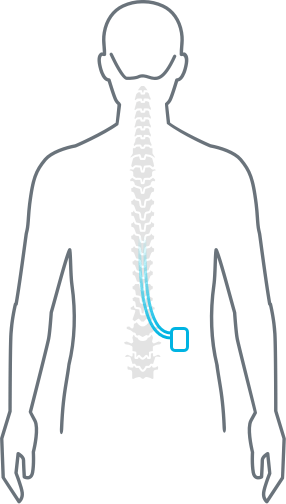 It includes a small implanted device that safely transmits mild and undetectable electrical pulses to the spinal cord. The pulses calm the nerves and reduce pain signals to the brain. HF10 is the only SCS treatment designated as superior by the FDA for getting the best results in both chronic back and leg pain. HF10 has been available in Europe and Australia since 2011. Find out if HF10 is right for you. In 1-4 weeks, learn if HF10 is right for you. I’ve tried everything else. Why should I try this? HF10 has been proven to deliver significantly better and longer lasting pain relief from chronic back and leg pain than other SCS systems. It has also proven successful for people who have had surgery or tried other pain therapies. How will my care team know if it’s working? You will be involved every step of the way, giving your care team feedback and making sure HF10 is programmed to meet your needs. Yes. HF10 safely delivers stimulation that doesn’t interfere with normal sensory perception, cognitive abilities, or motor functions. It doesn’t interact with pain medications or require major surgery, and it is completely reversible. Information about who should not use HF10, its side effects and risks are available here. How long will the trial period last? A typical trial lasts between 1 and 4 weeks. Duration will vary based on your specific condition and the guidance of your care team. Are there any restrictions after the trial procedure? Your care team will tell you what you can and cannot do after the procedure. In general, the device and dressings must remain dry to avoid infection. To ensure the leads stay in the right place, you should not lift your arms above your shoulders or lift heavy objects. Please consult your care team before engaging in any physical activity. Will I feel the stimulation? No. 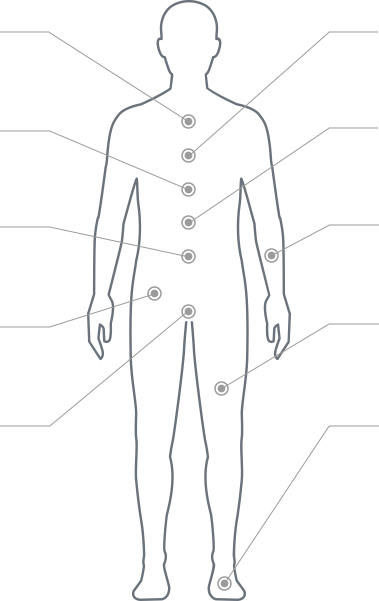 Unlike other spinal cord stimulation systems, HF10 does not create a tingling sensation, known as paresthesia. You may have some procedural pain, but this should subside within 1 or 2 days. 1 Calculated from patient survey data and functionality measures within the SENZA-RCT. Data on file. All Superiority and Paresthesia-free claims are supported by the Senza Summary of Safety and Effectiveness Data (SSED). Published May 8, 2015.